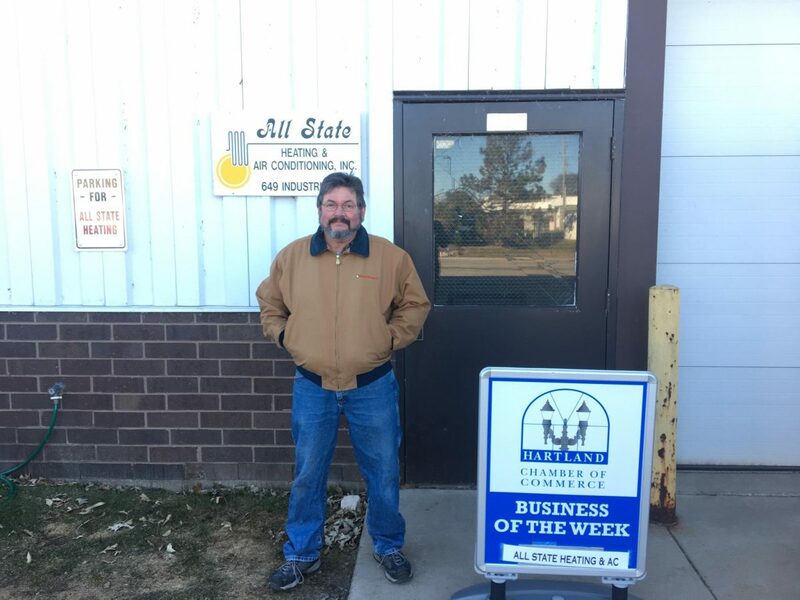 Pictured is Jim Schneeberger of All State Heating & Air Conditioning, Inc.
All State Heating and Air Conditioning offers installation and service of heating, ventilation, air conditioning and refrigeration systems including solar, hot water heating. All State Heating and Air Conditioning can be reached at (262) 367-8545. Visit www.allstatehvac.net for more information. All State Heating and Air Conditioning has been a member of the Hartland Chamber for 22 years.